Oslo, Norway, February 1, 2017 – We are kicking off 2017 with an awesome update to Home Designer for PC & Mac. Now it’s even easier to draw exact wall lengths, upload and scale your blueprint to draw over, and measure the distance between the wall and your dining table. Read on to learn all about these great new features! We’ve taken the most popular feature in our tablet app and made it available for everyone! Get greater precision when you draw your floor plans by entering exact wall lengths. Simply double-click on a wall, enter the exact length and the wall sizes automatically. With RoomSketcher Home Designer, you can draw floor plans using metric scale or feet/inches. Specify your wall length in millimeters or to the faction of an inch for even greater precision. The new Tape Measure tool is here! This handy tool works in every drawing mode and is available to all our users. Use it to create furniture and kitchen layouts, space windows, doors and more! You’ll find it in the Tools Menu of Home Designer. Do you have an existing floor plan drawing, such as a blueprint, image or sketch? Upload it to Home Designer to use a template. Our new and improved interface, allows you to upload your blueprint directly in Home Designer and to scale, rotate and crop it easily. Trace directly over your blueprint as you draw and turn the blueprint on or off with cool new “hot keys”. Draw faster and create dynamic 2D and 3D Floor Plans that you can edit, customize and view in Live 3D! Available with a RoomSketcher Pro subscription. 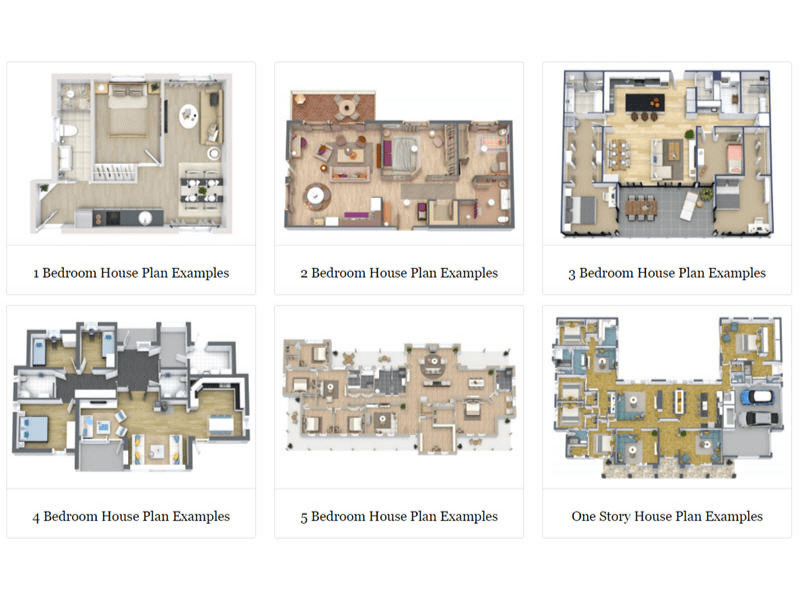 Need to make a second version of your floor plan? No problem! With Home Designer you can create a copy of your floor plan to make a new project or level. With this latest update, you can now choose whether or not to include the furniture when you make your copy. Add an additional floor to your project or create a new project more quickly and efficiently. In Zone Properties we have removed the “Show Zone Name” check box. Simply add a zone name, if you want one or leave it out, if you don’t want one. Open RoomSketcher Home Designer and try out all these awesome new features today!